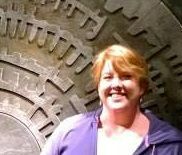 Please welcome J. Kathleen Cheney to The Qwillery. Dreaming Death is published by Roc on February 2nd. Please join The Qwillery in wishing J. Kathleen a very Happy Publication Day! The Qwillery: Welcome back to The Qwillery. 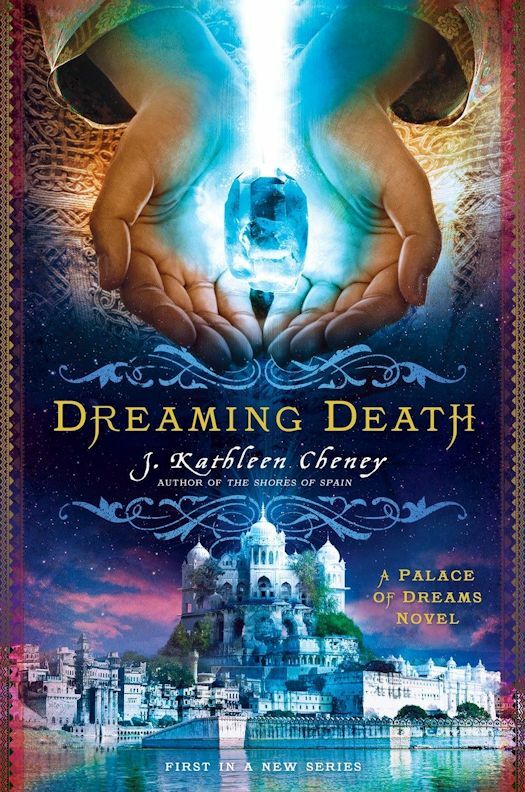 Your new novel, Dreaming Death, is the start of a new series - Palace of Dreams. Has your writing process changed (or not) from when you wrote The Golden City (2013) to Dreaming Death? What is the most challenging thing for you about writing? J. Kathleen Cheney: Hi there! Ugh. For me the hardest part is that first draft. I truly love the editing process, and could edit all my manuscripts endlessly. But cranking out that first draft is painful. I did, by the way, try Scrivener on this book, but after six months of wanting to pull out my hair, mostly because Scrivener isn't Word, I chucked it in. So no super-organization, either. I just pound it out, one end to the other. TQ: What do you wish that you knew about book publishing when Golden City came out that you know now? JKC: I think that no one is going to hold my hand and walk me through this career. Even though I'd been told by others that I would have to do a lot of things myself, I didn't truly grasp it. But it's seriously true…if you don't get out there and promote your own stuff, it won't fly. JKC: I'm a big lover of Romance and Mystery, so both of those will appear in my stories. In my view, a book must have either a dead body or a romance to be interesting, even if it's fantasy. I try to have a science basis for fantasy things, even if it's a flimsy science basis. Really flimsy. But I read up a lot on biological sciences, half to work them into stories and half because they're just really interesting! TQ: Describe Dreaming Death in 140 characters or less. TQ: Tell us something about Dreaming Death that is not found in the book description. TQ: What inspired you to write Dreaming Death? What appeals to you about writing Historical Fantasy? JKC: The original inspiration for Dreaming Death came out of reading the works of Ansen Dibell, which had an empathic race called the Valde. I spent a great deal of time considering Dibell's approach to the subject. (I'm a big fan.) But I combined that with the concept of underground seed vaults and the statistical correlation between pale eyes and shyness to come up with my underground race that included sensitives. I love historical fantasy because it forces us to consider how things were done. We live in a world where so many people don't even know where their food comes from, how paper is made, or how printing presses worked. Those are the kinds of things that I love to study. Historical fiction gives me an excuse to research that sort of thing. TQ: What sort of research did you do for Dreaming Death? JKC: The largest part of my research time was invested in studying underground building design. There are specialists in this field all over the world, because many people believe that instead of building ever higher, building ever lower might be the wiser course. JKC: Easiest: Deborah. We don't actually have her point of view in this book, but we do in the sequel. I have to admit, she's the closest thing I think I've ever written to myself. (Not appearance wise, but in terms of her thought process.) So she's easy. Not necessarily fun, but easy. Hardest: Mikael. He's a young man, and his mindset is fundamentally different than mine, so I had to constantly try to work out how a twenty-three year old guy would think. TQ: Why have you chosen to include or not chosen to include social issues in Dreaming Death? JKC: So this is a toughie. I actually eliminated a bunch of the political bits from the manuscript because my editor was concerned about it sounding too political (and therefore like The Golden City, she thought). But whenever there are three different peoples with diverse cultures living in close proximity, there are going to be social clashes. In some ways I see the Larossan/Anvarrid relationship as being similar to apartheid, with the Larossans being second-class citizens even though they vastly outnumber the Anvarrid. And the Families are caught between those two groups. Their treaty might force them to fight the Larossans one day on behalf of the Anvarrid…or to break their treaty and side with the majority. The third option, though, would be to simply close up the Fortresses and ignore the outside world again. 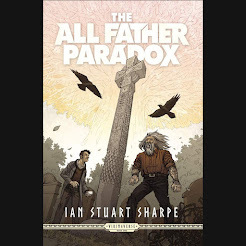 So in a way, they're in the position of deciding their own fates, but it's a scary decision ahead of them, and one that all Six Families might not agree upon. TQ: Which question about Dreaming Death do you wish someone would ask? Ask it and answer it! JKC: Is this set on a post-apocalyptic earth? No, but in my mind this all takes place after the mass terraforming of a planet. So there are similarities. Of course, all in my mind. Not on paper. Yet. TQ: Give us one or two favorite non-spoilery quotes from Dreaming Death. JKC: I've actually got some novellas I'm trying to get published and out in the world, another in the Golden City setting that includes Alejandro, "After the War", and one set in 1815 Russia. 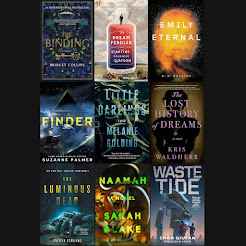 I'm also trying to get three short stories up on my website that are set in the world of Mikael and Shironne, one of which was published back in 2007 at Jim Baen's Universe--Touching the Dead (https://jkathleencheney.wordpress.com/free-fiction/touching-the-dead/). And I'm trying to re-edit and republish all the short fiction I have available as ebooks. I'm typing as fast as I can, I promise! JKC: Thanks for having me as your guest! Mikael is a dreamer. Not a daydreamer. A dreamer of death. When Mikael dreams he re-lives the death of murder victims in such clarity that he is left with signs of the suffering they experienced on his body. While Mikael dreams Shironne acts as the witness, on the sidelines, as an observer that can almost but not quite sense the one tangible link between the victim and the killer. They haven't even met but Mikael and Shironne are intimately linked while they sleep. Their lives change irrevocably when a serial murderer uses arcane magic to kill its victims. Shironne and Mikael are the only ones who can solve the mystery of who the killer is, but with every dream another person dies and time is running out for Shironne to piece together the cryptic clues left throughout his dreamscape. Dreaming Death is a beautiful, almost lyrical story despite its dark and tragic plot. 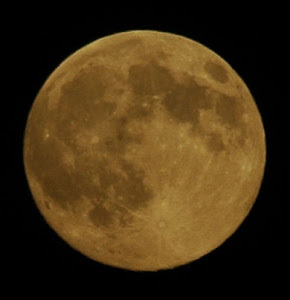 I thought I could have been reading a song or hearing a poem as each chapter flowed seamlessly into the next. I didn't want it to end. Cheney has created a richly textured and complex world for her characters. Society and history are told largely through Mikael, as one of the royal family's guards. The rigid class structures of the Six Families are explained as we navigate through the story and Mikael's interactions with his colleagues. Shironne is a touch sensitive whose enhanced senses have left her blind. Rather than giving into trauma of so many sensations Shironne uses her gifts to aid the Larossan army to solve cases. Shironne is a strong and determined female lead and uses her gifts rather than letting them become her disability. She is even more interesting of a character when she finally meets Mikael. While the murder mystery is the mainstay of the plot the relationship between Mikael and Shironne is what is really the star of this story. I LOVED Dreaming Death. If I could read with my eyes closed I am sure I could have smelled the rich spices of the curry that Mikael enjoyed, felt the cold stone of the walls of the palace against my finger tips and sensed the melee of emotions as they swirled around me. This is a 'can't put down' book, a joy to read from start to finish and has me wishing that book two was out already. I think I have found my new favourite author. So thank you to J. Kathleen Cheney. Read an exclusive excerpt of Dreaming Death here. J. Kathleen Cheney taught mathematics ranging from 7th grade to Calculus, but gave it all up for a chance to write stories. Her novella "Iron Shoes" was a 2010 Nebula Award Finalist. Her novel The Golden City was a Finalist for the 2014 Locus Awards (Best First Novel). 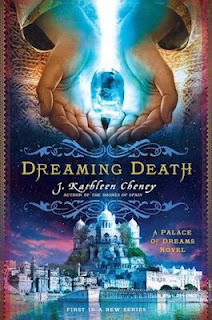 Dreaming Death will be the first in a new series, the Palace of Dreams Novels.